American rapper Fetty Wap (born Willie Maxwell II) was first noticed in 2015 with his debut single Trap Queen, which him two Grammy nominations for Best Rap Song and Best Rap Performance. His self-titled debut album came out later that year and featured tracks like 679 and My Way. 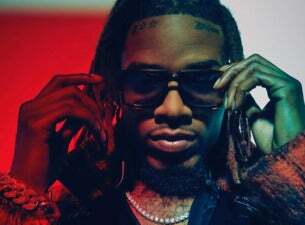 Since 2015, Fetty Wap has released a series of EPs and mixtapes, with his latest being 2018's EP For My Fans III: The Final Chapter and mixtape Bruce Wayne. Fetty Wap will be crossing the pond to headline series of UK shows this April.